It has been almost a year and a half since Mike Cirba, the unofficial point man for a group calling itself Friends of Cobb’s Creek Golf Course, went public with the dream of restoring the city-owned golf course in West Philadelphia to its original 1916 luster. Nothing. Plenty. It depends on your perspective. Not a shovel of dirt has been turned at Cobb’s Creek and won’t be for months -- years, really -- if ever. The wheels of progress (and bulldozers) grind slowly, especially when city hall is involved. But Cirba and Friends of Cobb’s Creek (FOCC) are hopeful, even encouraged, because the $14 million restoration project is under serious consideration by the city. "I think we’ll know something in the next six months, good or bad," Cirba said recently, when we met at Cobb’s Creek. "We are optimistic." When you talk to the city, brace for a lesson in the harsh political and logistical realities involved in getting a project like this done, even when they like it. "A lot of things would have to line up," said a high-ranking official in the Parks and Recreation Department, who has been on top of the Cobb’s project since the beginning. "It’s like hitting a 1-iron 250 yards down the middle. How often does that happen?" If the restoration ever does come to fruition, Cobb’s Creek would be turned into one of the very good, maybe great, municipal golf courses in America, ideally worthy of being mentioned in the same conversation with U.S Open municipal venues like Bethpage Black or Torrey Pines. That might be getting carried away, but at the least Cobb’s Creek would become a first-rate tournament course by any measure, with teaching and practice facilities. The Golf Association of Philadelphia (GAP) has plans on the drawing board to move its headquarters to the new, improved Cobb’s Creek. The project’s supporters also believe that a vastly improved Cobb’s Creek complex would benefit the city in financial ways. Having a quality course that close to Center City would be one more lure for attracting conventions and tourists to the city. That could mean millions. Gil Hanse, the Malvern-based architect who is designing 2016 Olympics course is Rio de Janeiro, is such a believer that he and his design partner, Jim Wagner, were willing to draw up a restoration master plan pro-bono, in the hopes that it might help set the project in motion. While the vision and inspiration for the restoration came from FOCC, the formal proposal to the city was submitted by a 501c3 non-profit foundation that was created for the specific purposes of undertaking the project and, ultimately, managing the Cobb’s Creek for years to come. Although a few details about the unnamed foundation have leaked within the local golf community, Cirba and the city are reluctant to divulge much at this point, other than to acknowledge it was established by a very rich family that would like to put to some of its millions to good use in the service of the city and its residents. "They are very civic-mind and they are looking to leave a legacy," said Cirba. Here’s a story from the Inquirer, after FOCC’s initial meeting with the city in 2008. Here is the Bausch Collection of photos of Cobb’s Creek. When that video was made in December 2012, the funding for the restoration had not yet been lined up. The restoration was still very much in the "pipedream" stage. That all changed when Cirba met Chris Lange, an accomplished local amateur golfer, winner of the Philadelphia Open (2004) and a three-time winner of the Philadelphia Amateur (1984, 1993, 1994). More importantly, Lange is a successful and well-connected investment advisor, not to mention former college roommate and friend of Peter Hill, Chairman and CEO of Billy Casper Golf, which manages four of the six city-owned courses (Cobb’s Creek/Karakung, John F. Byrne, FDR). Lange liked the idea for the restoration and set about trying to line up funding – private funding. After all, from the very first meeting with FOCC, city officials were intrigued by FOCC’s big idea, they made it clear that there was no money in the city budget to take on such a project. If it was going to happen, it was going to be thanks to private money, not the taxpayers’. With the cost of the restoration estimated at $14 million, that seemed...well, daunting, bordering on unlikely. There was a time last June, when the national golf media was in town for the U.S. Open at Merion, when Lange and the folks behind the foundation were so encouraged they were all set to hold a press conference at Cobb’s Creek to announce the project. City officials quietly sent word that they should hold off. What happened, evidently, is that the city had begun to realize it couldn’t just sign off on the Cobb’s Creek restoration project quite so fast – not even with private money behind it and a non-profit foundation overseeing it. What the city would need was a formal proposal from the non-profit foundation, outlining everything, although technically, the proposal was unsolicited. Within weeks, the city got what it wanted. Similar arrangements with non-profits are not unheard of without such a formal proposal. 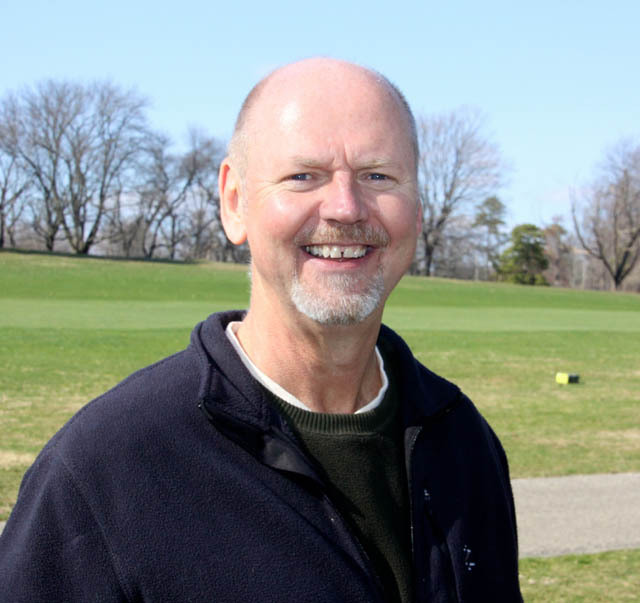 The city happily turned over Walnut Lane GC in Roxborough to former Temple golf coach John McDonald, to be operated as a Philadelphia First Tee facility. And Bob Wheeler, a former Philly cop, formed a non-profit to run Juniata GC in Northeast Philadelphia, after the city failed miserably for years. But those take-overs were penny-ante compared to proposed the Cobb’s Creek restoration project. The $14 million price tag, and the long-term implications for the course, the city and golfers, changed everything. The city couldn’t agree to a no-bid deal of that magnitude without proceeding cautiously, touching all the bases. It also needed to send the foundation’s proposal over to the city Legal Department, where more than one idea has met its undoing. In the master plan proposal, in return for the $14 million investment, the non-profit seeks a 99-year lease to manage the Cobb’s Creek. A century, basically. That gives the city pause. The city, he said, does not have an ironclad formula for the length of such leases; it would have to be negotiated. A lot would depend on the amount of capital investment and potential return to the city. Could the city’s demand for a shorter-term lease, even if it agreed to 50 or 60 years, potentially cause the non-profit to withdraw its offer? Yes, said the city official. What about cutting the cost of the restoration, to reduce the amount of money the non-profit foundation puts at risk? "If you start scaling back the renovation, are you defeating the whole purpose?" asked the city official. There is another major obstacle. Historically, one of the maddening problems at Cobb’s Creek has been that every time we get a major rain event, several of the lower holes – No. 3, 4, 5, 6 – are under water. They flood because they are bisected by the namesake Cobb’s Creek as wends its way through the property. Plain and simple, without addressing the flooding, once and for all, there is no restoration project. What’s the point? Fortunately, Hanse’s master plan addresses the flooding. How? By tying together the restoration with the federally-mandated Stormwater Management plan, for which the city is on the hook (no doubt with federal aid), with or without the restoration. The cost of that work is said to be in the $5 million neighborhood, raising the total cost of the project to almost $20 million. Hanse’s plan is good; the timing of the restoration apparently isn’t. The Water Department’s 20-25-year Stormwater Management plan isn’t specific about when it will address that section of Cobb’s Creek. "Huge wrinkle," said the city official. If all this comes off as discouraging, it is not intended as such. It is intended as laying out the realties, political and otherwise, that the Cobb’s Creek restoration project faces. Indeed, on a positive note, the city official said there is "not any sentiment against it" politically from City Council or Mayor Michael Nutter. Nutter will be long gone from office before Cobb’s Creek is restored. Of course, the political winds could shift, especially if the cost of green fees at Cobb’s Creek were to increase dramatically (currently $46 weekdays/with cart, $51 weekends/with cart) as a result of the restoration, prompting howls of protests from longtime regulars. "Could this even survive as premium-priced public course where it’s located?" wondered the city official. What kind of premium rate, like $100 or $125? Is that what they’re talking about? No, not necessarily, he said, but how could the rates not increase after a $14 million restoration? For the record, Cirba and others advocate affordable rates for locals versus higher rates for convention-goers and out-of-towners. When Cirba and FOCC undertook the Cobb’s Creek project several years ago, they did so as golf course architecture enthusiasts, excited about the prospect of uncovering and polishing a jewel. These days, Cirba is no less enthusiastic, even if he is wiser and warier. During our recent meeting at Cobb’s Creek, he recalled the first day in 2008 when he and a dozen or so guys from FOCC walked the property at Cobb’s Creek, imagining what might be. Afterward, they retreated to a neighborhood tavern to talk it over and meet with Ron Prichard, a local golf course architect who specializes in restorations. "Ron sat down with us knowing we are all arm-chair architects," said Cirba. "He listened, then said, "This will be good for you guys getting to see what the real world is like trying to get these projects done."" Both Cirba and the city official believe there will be an answer from the city, thumbs up or thumbs down, within six months, certainly no later than the end of the year. "We are optimistic," said Cirba, upbeat. So is the city official, in his own way. "There have been brainstorms about this (restoring Cobb’s) going back 15 years and this is as close as anybody has ever gotten," he said. "Nothing is insurmountable. But there are some real challenges ahead." Joe, thanks for updating folks about our efforts. One thing that folks need to consider is that the city is eventually on the hook to implement the EPA-mandated Stormwater Management Plan along Cobb’s Creek. If this work is not done in conjunction with the renovation/restoration of the golf course as has been proposed (and which funding is now available for), it is extremely likely that implementation at a later date will doom today’s holes along the creek. Obviously, not a good thing for golf, for the golf course, or for preservation of our city’s golf history.